The schools and participation team strive to improve the behaviour, the health and wellbeing and the engagement of children across the Doncaster borough. Club Doncaster Foundation pride themselves on the quality of the delivery in both schools and the local community. The schools and participation team strive to improve the behaviour, the health and wellbeing and the engagement of children and young people across the borough, so that they can become the best version of themselves. 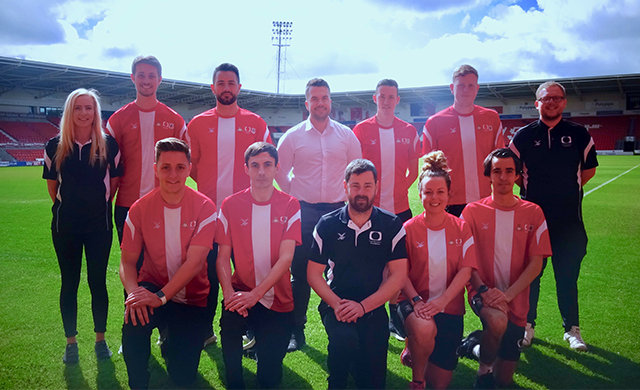 Through the day, you can find our team in many of Doncaster’s primary schools, offering the highest quality of sports provision to over 4,000 children per week. Our PE specialists work alongside the school teacher, increasing their confidence and knowledge in delivering PE and School Sport. We support children to learn the values commonly found in sport and will be crucial in every walk of life as they continue to grow. On an evening, our team work in local communities delivering fun and engaging sports sessions. The Kicks programme has been offering young people a safe and encouraging environment to play sports with their friends for the last 9 years. To support the growth of girls participation in sports we also offer a range of activities exclusively for girls. Our team also increase participation in sport by offering an employment pathway through a well-established volunteer and social action programmes. Many previous graduates of the ‘Coaching Academy’ have gone on to work for the team, supporting future generations to engage with sports. The Schools & Particpation Team (from left to right).